Hotel design is a truly undervalued art. Architects take the essentially repetitive nature of a hotel’s hive-like basis and spin new ideas that rarely fail to catch the imagination – at least, the fancy ones! 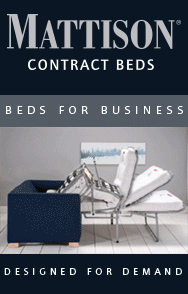 But a hotel is a big building, and while that means ideas can be big too, there is a price to pay. Costs, planning permission, and winning over the chief exec can all be tricky propositions when your design idea is cutting edge. It’s no wonder so many splendid designs never manage to make it off the blueprint. 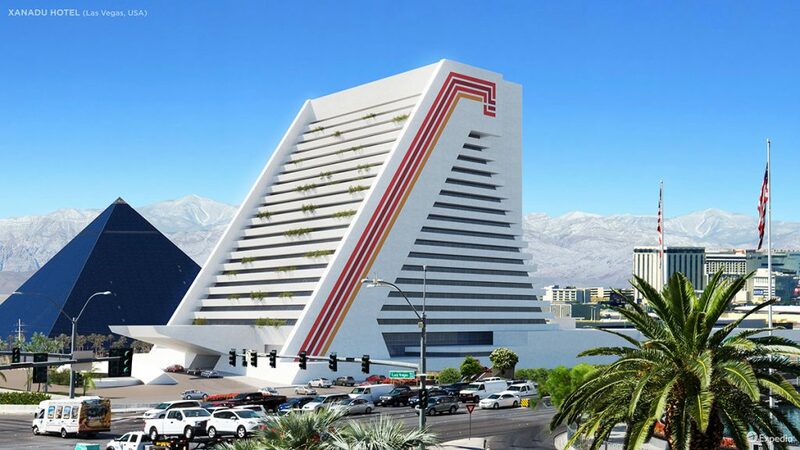 Here’s a look at six such ideas for hotels that were never built. 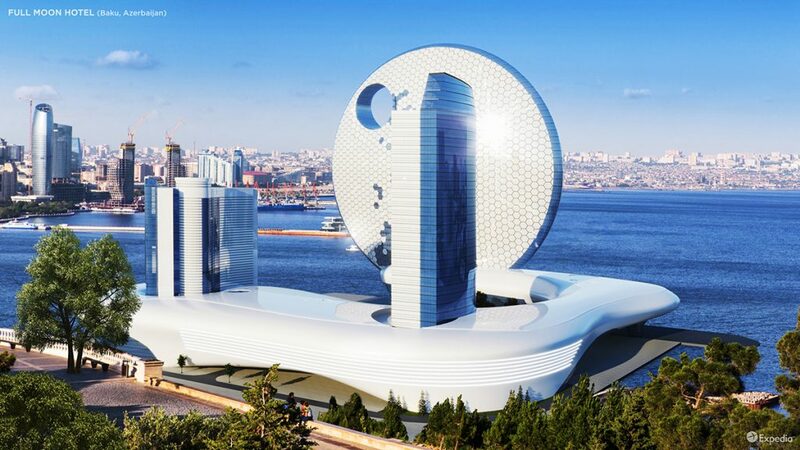 This mysterious building in Baku, Azerbaijan has quietly ceased development, although the cause is not clear. Could locals (and distant planets) have been unnerved by its nickname: the Death Star? So-called because of its resemblance, from a certain angle, to the planet-destroyer of Star Wars fame, the Death Star reference isn’t the full story. In fact, observers have noted it would have looked like 30 St Mary Axe – better known as London’s Gherkin – from a different point of view. 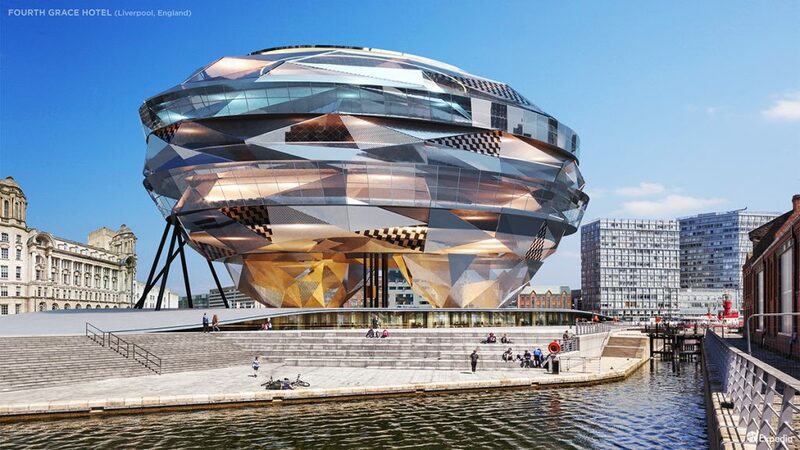 When a competition was held to find a hotel to accompany the Port of Liverpool Building, Cunard Building, and Royal Liver Building, Will Alsop’s diamond-shaped design was a surprise winner over those of star architects including Norman Foster and Edward Cullinan. But the dazzling structure wasn’t just diamond-like in appearance. It also proved expensive. Work on the project stopped in 2004, and nothing has been built in its place. Spirits were clearly high when the Commonwealth was imagined. 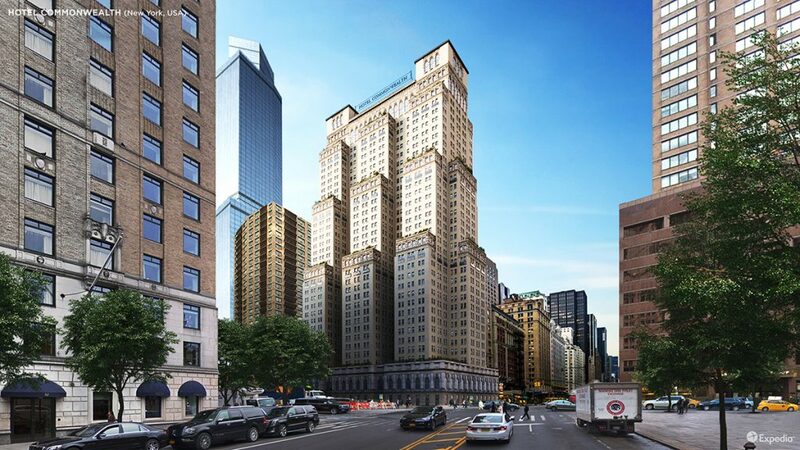 Covering an entire New York City block with over 2000 rooms, Turkish baths, an indoor golf course, and the biggest swimming pool in America, this would have been the biggest hotel in the world. Equally inspired by art deco and the Hanging Gardens of Babylon, you can probably see what was coming. Even had the Great Depression not been around the corner, there was no way this mammoth project was going to be affordable. Frank Lloyd Wright’s 826-room commission for oil millionaire Rogers Lacy was to “glisten in the night” as a ‘Lone Star’ on the Dallas skyline, according to the ageing architect. It’s difficult to know who would have derived the most prestige from the project – Frank or his benefactor. But FLW’s ideas were too big, and trouble was brewing in the oil industry. 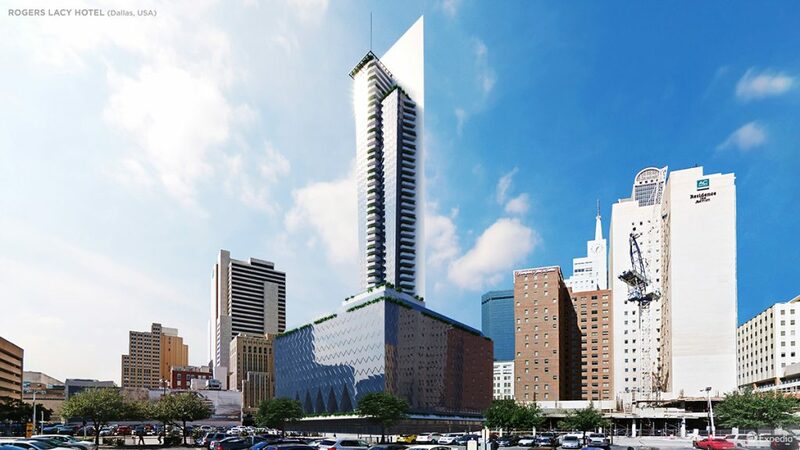 The project was shut down, and some of the ideas were diverted to FLW’s Price Tower in Bartlesville, Oklahoma – the only true high-rise that he would ever build. Ever slept in a pyramid? Naturally, your second option after Egypt would be Vegas – if, that is, a disagreement over the Xanadu’s potential sewer line installations hadn’t washed the project down the plughole. Despite its ancient pretensions, the Xanadu is (or would have been) very much a project of the 1970s. Looking like a retro blueprint for an early iMac, the flourishes were very much of their time (i.e. 1960s hangover). Palm trees and a flaming water feature were among the highlights that never got to happen. If you’re going to be the biggest hotelier, you’ve got to keep thinking bigger than everyone else. Hence, Barron Hilton and his fleet of outer-space hotels. Such an idea might just about pass as a near-future possibility now, but in the ‘60s? 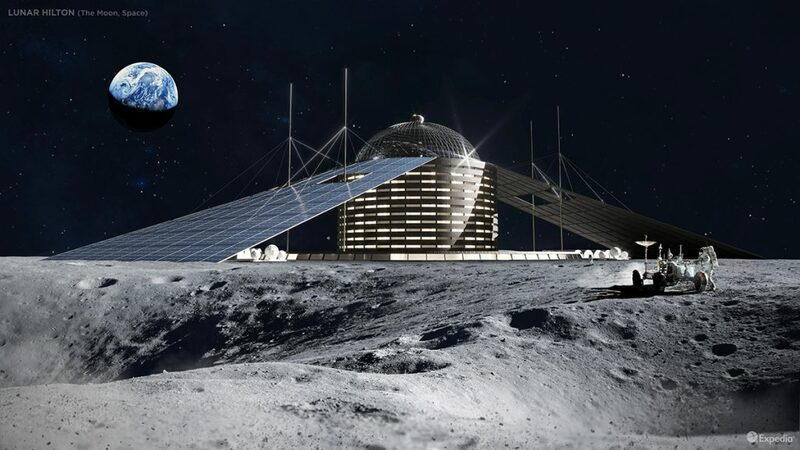 Apparently high on the buzz of the space race, Hilton reckoned on a fleet of satellite hotels hovering around his flagship moonbase hotel. And very Jetsons it would have been, with freeze-dried steaks sent from Earth to keep rich guests happy. Unsurprisingly, when he got out his calculator, Hilton realized that those guests were never quite going be rich enough to cover the costs of his big idea. John Cole writes on behalf of NeoMam Studios. A digital nomad specializing in travel, digital arts, and design, his passions include world cinema and biscuits. A native Englishman, he is always on the move, but can most commonly be spotted in the UK, Norway, and the Balkans. All renderings of unbuilt hotels courtesy of Expedia.